Many of the widgets scattered across the Web are made in Flash, but Adobe doesn’t participate in the widget economy. Today, it is taking a first tentative step towards changing that with the release of a new Distribution Manager for widgets created on the Flash Platform. In addition to making it easier for people to share the widgets across 70 Web and mobile destinations, it will track their usage, and serve as a widget ad network as well. Adobe is obviously interested in getting into the advertising end of the business, which is why it recently announced it is acquiring Omniture for $1.8 billion. Rather than just getting paid once for the tools to create Web apps and content, it wants to get a piece of those recurring advertising dollars too. The widget distribution play is along the same lines, except that for now Adobe is doing it through a partnership with Gigya, the widget distribution and advertising network. What that means is that any money Adobe makes will be split more ways, but in return it achieves faster entry into the market. 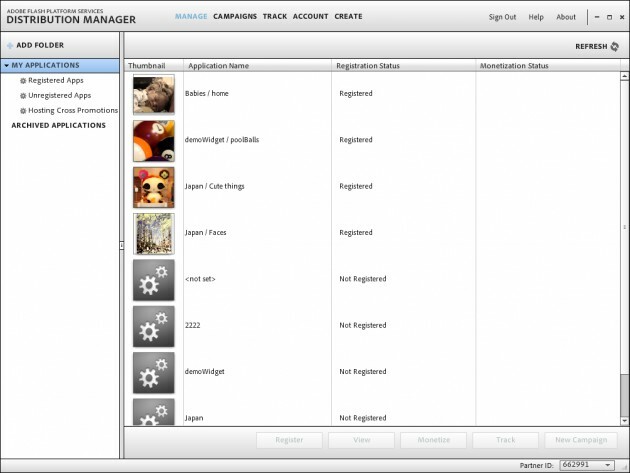 The Distribution Manager allows Flash developers to put a share button on their apps, which opens up a menu giving consumers the option to send that particular widget to Facebook, iGoogle, MySpace, My Yahoo, or various other destinations. It also supports the iPhone, Windows Mobile, and Symbian phones. (Since the iPhone does not yet support Flash, a version of the apps must already be present in the iTunes Store in non-Flash form). Many advertisers themselves are creating Flash widgets which they are hoping will be spread around virally. They can buy installs on Adobe’s widget network for $1 per install. On the flip side, developers who choose to run these ads will get an effective CPM of $5 (i.e., for every 1,000 impressions). Adobe and Gigya will split whatever is the difference between those two numbers, which will be a function of the exact (undisclosed) revenue share, the number of times an ad widget is installed, and how often it is passed along. Developers also get an Adobe AIr app which helps them keep track of all of their widgets. They can measure unique users, number of impressions, interaction rates, installs, and how many times it is passed on. 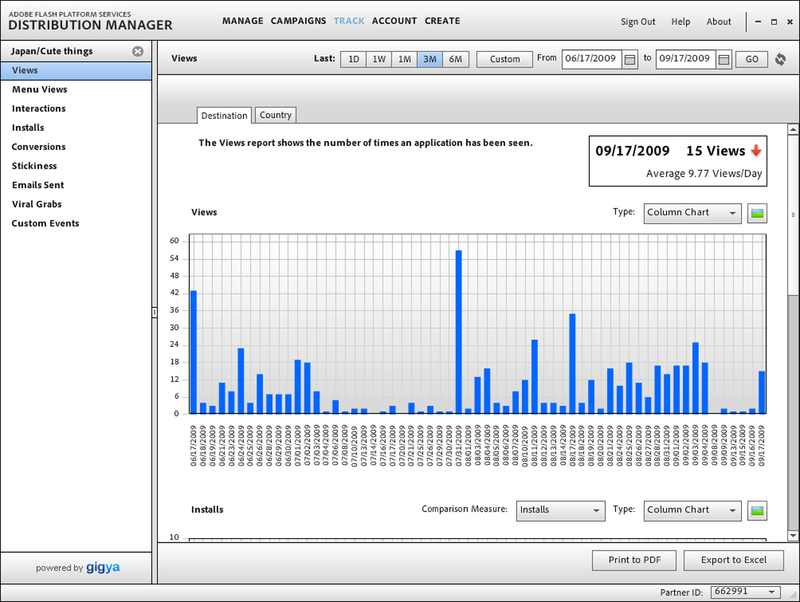 The Distribution Manager can also break down installs and usage by social network, device, or country. The next Flash platform service Adobe wants to role out is the ability to develop an app once and distribute it anywhere without re-writing the app.